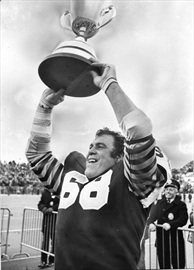 Back in the sixties, I was a big CFL fan, Hamilton Tiger Cat fan, and a huge fan of #68, Hamilton defensive lineman Angelo Mosca. When I found out recently that he had written an autobiography, Tell Me to my Face, I had to read it. 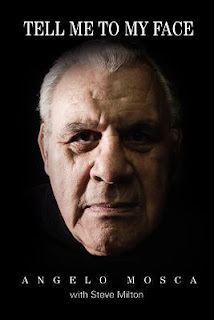 Co-written with Hamilton Spectator columnist Steve Milton, "Tell Me To My Face" is an intimate and surprising story of Mosca's journey from a hard-scrabble upbringing to playing in a record nine Grey Cups, becoming the most hated man in the CFL and wrestling as the infamous King Kong Mosca. The title of the book comes from the very first TV commercial he did back in the sixties. It was for Schick shavers, and he was promoting them as the smoothest shave a man can have. For the final line, he turns to the camera and says in his most menacing voice, "If you think I'm lying come and tell me (dramatic pause) to my face!" 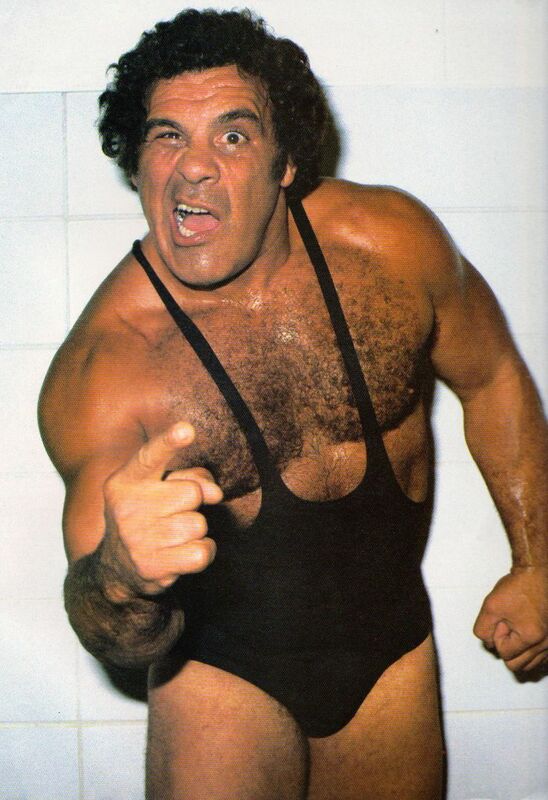 The book is written pretty much in the same way Mosca speaks, plain language mixed with some profanities. I like how he doesn't go into detail about games played and bouts fought but instead tells the background of his life. It was very interesting to see how the inside of the wrestling world works. Mosca is pretty frank about his life, including things he did that in the end he wasn't proud of. I really enjoyed this book. The last page includes a postscript that starts, "I am fond of this story written long ago." Every day is a gift as long as I open my eyes. Old age is like a bank account - You can withdraw in later life what you have deposited along the way. So my advice is to deposit all the happiness you can in your bank account of memories. Thank you for your part in filling my account with happy memories, which I continue to fill. I like that. Thanks big #68!